The young Canadian tennis player, one of the revelations of the season, has received the second of the four invitations of the tournament after the one given to David Ferrer. 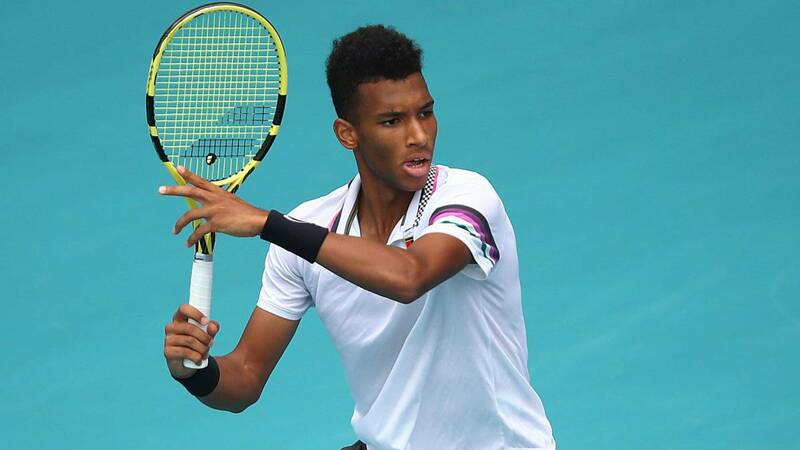 The young Canadian tennis player Felix Auger-Aliassime has received the second of the four invitations to play the Mutua Madrid Open, fourth Masters 1,000 of the season to be held in the Magic Box from May 3 to 12. After granting the first ' wild card 'to the veteran David Ferrer, who will bid farewell to the Spanish capital, the organizers are now betting on one of the young faces that are shining at this start of season. Auger-Aliassime, 18, has been placed in the place 33 of the world ranking of the ATP after a brilliant rise in these first months in which he played the final in Rio de Janeiro and the semifinals of the past Masters 1000 of Miami. In addition, the American tennis player already knows the facilities of the Box Magical, of which keeps a great memory since in 2015 conquered the Junior Davis Cup with a Canada where e was also Denis Shapovalov. "I want to thank Feliciano López, and the entire team of the Mutua Madrid Open, for inviting me to play the final table of the tournament. I really want to go back to Madrid. I keep great memories of my junior stage in the Magic Box, where I hope to do some magic again, " Auger-Aliassime held in statements facilitated by the communication department of the Madrid tournament. For its part, Feliciano López, director of the Mutual Madrid Open, described the guest as "an incredible player." "Everything he's achieving at 18 is amazing. It has spectacular potential, with a practically unlimited variety of strokes," he admitted. "The invitation to play the final table tournament has earned it with its results at the beginning of this season and will surely play a good role. Last year, we already granted an invitation to Stefanos Tsitsipas as a young international pledge and today is' Top 10 '", added the tennis player from Toledo.